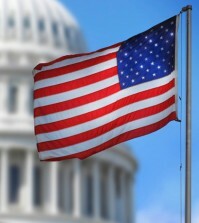 The Environmental Protection Agency has declared March 18 through 24 its annual Fix A Leak Week. If that sounds “gimmicky” or just an educational curriculum for school kids you’re mistaken. The reality is that household leaks can waste nearly one trillion gallons of water annually throughout the United States. The average household’s leaks can account for nearly 10,000 gallons of water wasted every year and ten percent of homes have leaks that waste 90 gallons or more per day. Numerous water agencies throughout California are participating in Fix a Leak Week in a variety of ways. Participating agencies are offering consumers the opportunity to win prizes or to receive rebates. Better yet, fixing easily corrected household water leaks can save homeowners about 10 percent on their water bills. 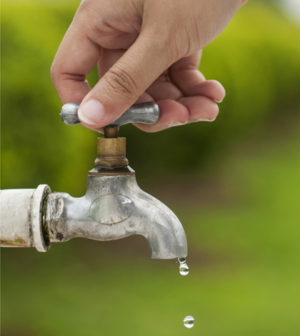 Sweetwater Authority in Chula Vista is offering rebates of up to $75 for leak repairs made in the entire month of March 2019. Purchases for and repairs must be completed by March 31, 2019 whether the repairs are made by an individual or if the work is done by a contractor. Contestants must be customers of the Sweetwater Authority. New construction does not qualify but new fixtures or devices to repair existing devices do qualify. The authority encourages its customers to look for leaking fixtures, make the necessary repairs and to then submit an application, with your receipt for the repair materials. The application can be found at: https://www.sweetwater.org/DocumentCenter/View/1178/Fix-A-Leak-Rebate-Application?bidId=. Rebates will be issued to applicants that qualify through the end of the month as long as funding last. Leaky faucets can be fixed by checking faucet washers and gaskets for wear and replacing them if necessary. Leaky showerheads can be fixed by ensuring a tight connection using pipe tape and a wrench. Silent toilet leaks can be found by putting a few drops of food coloring into the tank. If color appears in the bowl within 15 minutes without flushing, you have a leak. If your toilet is leaking, the cause is often an old, faulty toilet flapper. Over time, this inexpensive rubber part decays, or minerals build up on it. It’s usually best to replace the whole rubber flapper—a relatively easy, inexpensive do-it-yourself project. If the toilet handle sticks in the flush position, water runs constantly. Replace or adjust the handle to avoid running. A family of four who replaces their older, inefficient toilets with efficient ones, could save approximately 13,000 gallons of water per year. East Valley Water District (EVWD) in Highland is also participating in Fix a Leak Week. They offer the following information to aid their customers in identifying leaks, tips for repairs and information on how much water is wasted by unresolved water leaks. 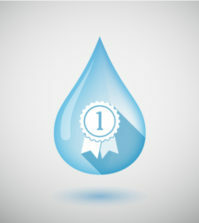 Leaky Faucet – A leaky faucet that drips at the rate of one drip per second can waste more than 3,000 gallons per year. Leaky faucets can easily be fixed by checking on faucet washers and gaskets for wear. Make sure to look for replacement faucets with the WaterSense Label. Leaky Showerheads – If your showerhead is leaking at 10 drips per minute you could be wasting more than 500 gallons per year. That’s the same amount of water it takes to wash 60 loads of dishes in your dishwasher. EVWD customers who replace a leaking showerhead with a new WaterSense approved showerhead may qualify for a $30 rebate from EVWD. Go to: https://eastvalley.org/275/Rebate for more information. Irrigation System Leaks – Irrigation system should be checked each spring before use to make sure there are no leaks. 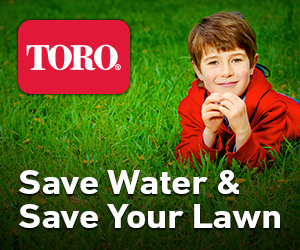 A leak in an irrigation system about the thickness of a dime can waste about 6,300 gallons of water per month. That’s the amount of water needed to take more than 360 showers. Garden Hose Leaks – Check your garden hose for leaks at its connection to the spigot. If it leaks while you run your hose, replace the nylon or rubber hose washer and ensure a tight connection to the spigot using pipe tape and a wrench. If you’re looking for tips and information for leak detection and repairs to the EPA’s website at: https://www.epa.gov/watersense/statistics-and-facts. Being a water saver helps everyone.